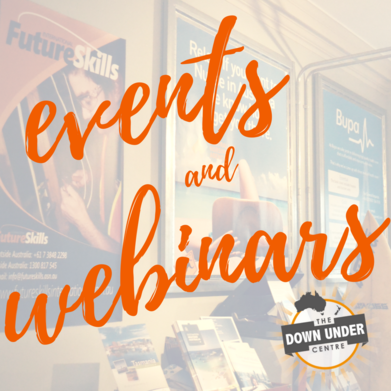 The Down Under Centre hosts monthly migration webinars for Australia and New Zealand. These webinars are a way of allowing our followers and potential clients connect with our expert partners so that they get to understand how the migration process works and how we can help! How can our partners help you? Not only do we have our expert partners attending our monthly webinars, we also have a registered migration agent attending to help give you advice on moving to Australia and New Zealand! We also host seminars from our training room and attend expos such as ‘Down Under Live’. ‘Down Under Live’ is an event for people migrating where you’ll get the chance to speak to migration agents and ourselves! We’re giving away 15 free tickets for the next Down Under Live expo in Manchester and Bristol! All you have to do to win is register for our next webinar as well as ask the best questions related to migration! Register for our FREE Australian Migration webinar here! Keep up to date with our seminars, webinars and events on our website!